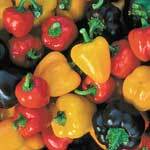 Spring equinox breezed by last weekend and now it’s full speed ahead into high planting season for vegetable gardens! If you didn’t make it to your local nursery or garden center last week to pick up some spring vegetable starts, don’t worry. We’ve been sending out flats and flats of veggies again this week, including mini-cabbages, broccoli, lettuce, spinach, chard, European greens, peas, and more. 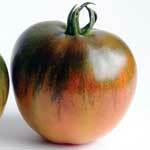 If you can only grow one cucumber, ‘Alibi’ is a great all-around choice. 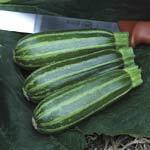 This versatile cuke is firm enough for pickling but tender and succulent for slicing. Space-saving compact vines produce tons of perfectly shaped 3 to 4 inch fruits in a small space. 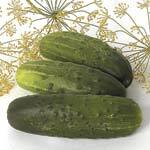 Or pick the fruits much smaller, about pinkie-sized, for making sweet gherkins. Cucumbers need heat and well-drained soil: plant 3 to 4 feet apart in full sun on raised beds or hills. Viola ‘Dancing Geisha’ – Spring is also the best season for violas. This exquisite new variety has gorgeous maple-leaf foliage streaked with pewter and silver and wonderfully fragrant, pale lilac violets that may appear peeping through the snow in early spring, and continue blooming even into hot summer months. 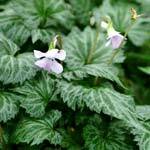 Silvery mounding plants grow just 6-12 inches tall and prefer a cool site in part to full shade with rich, moist soil. Scatter them among spring bulbs for an enchanting display of spring color, tuck them among ferns and hostas in a woodland garden, or use as a shady groundcover in beds or borders. 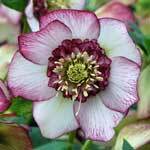 AND DID WE MENTION THE ‘WINTER JEWELS’ HELLEBORES? *Also known as the Christmas Rose or Lenten Rose, Hellebores bloom in winter! The smooth, cup-shaped flowers start to appear in January or February, holding for several months on the plant. *Hardy plants with polished, dark green palm-like foliage covers garden beds in lush greenery throughout the year in our mild Northwest winters. *They aren’t even high maintenance. Hellebores are happy in shade to part shade, need little cleaning, are usually unbothered by pests or disease – even deer don’t seem to like them! *‘Winter Jewels’ is an exceptional series introduced right here in the Northwest by world-class hybridizers Ernie and Marietta O’Byrne, who selected for the biggest blooms, purest color, and most vigorous plants. 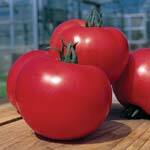 Grow one or two this year and you may be back for more next spring! Oregon Live has a video online about the O’Byrnes and NW Garden Nursery hellebores if you would like to learn more. You can see more of our 2009 New Introductions on the website.